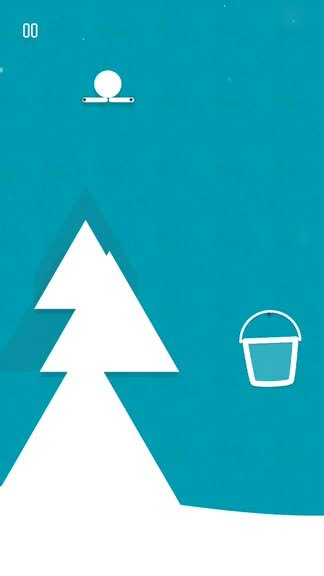 Drop Flip Seasons (Free) by BorderLeap, LLC is the sequel to last year’s hit Drop Flip!, a relaxing but challenging physics-based puzzle game. If you enjoy minimalistic puzzle games that make you think, such as Trick Shot, then you will love the original as well as this brand new version. These days my preferred gaming platform of choice has been on my PlayStation 4, but every now and then I even need a break from that. 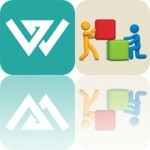 For those times, I always turn to puzzle games, especially on my iPhone. If you’ve been following my work here at AppAdvice for a while, then this should not surprise you in the slightest. I’ve been a fan of BorderLeap ever since they released other awesome games on iOS, including the word game Alpha Omega, as well as the har•mo•ny series. I enjoyed the original Drop Flip! a lot when it first came out, so naturally I was eager to pick up Drop Flip Seasons when it came out. Needless to say, as a fan of the first game, this one does not disappoint and is a great way for newbies to start as well. Just like its precursor, Drop Flip Seasons features a super minimalistic design that will appeal to anyone who likes simple and clean aesthetics. The game consists of solid colored backgrounds with subtle textures that you will only notice if you look closely enough, and the puzzle layouts are composed of basic geometric shapes that are colored white so they contrast nicely with the backdrops. While the original Drop Flip! 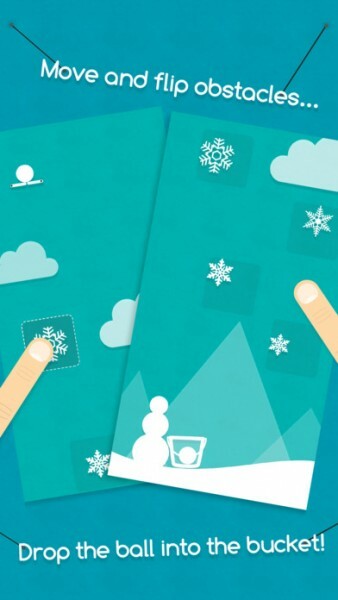 game did not feature any extra patterns in the background, Seasons has a few subdued patterns, and there are even extra things like falling snowflakes in the “Winter” season. 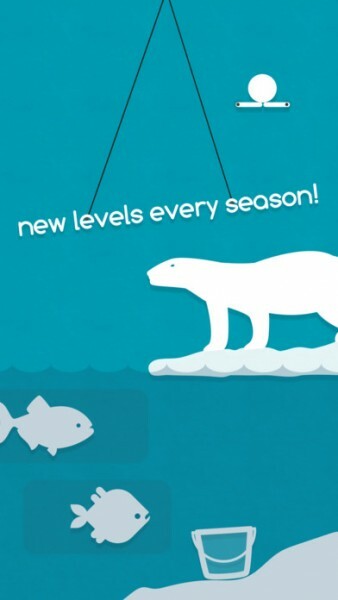 The best thing about Drop Flip Seasons is the fact that the developers are planning to add new levels for every season, so more content is already on the way. Animations in the game are buttery smooth and fluid, with no lag on my iPhone 7. Drop Flip Seasons also has a rather whimsical atmospheric soundtrack that is both captivating and engaging, and will help you focus on how to solve each puzzle. Once again, BorderLeap has done a superb job in terms of the visuals and audio in Drop Flip Seasons, but this should surprise no one given their great record so far. 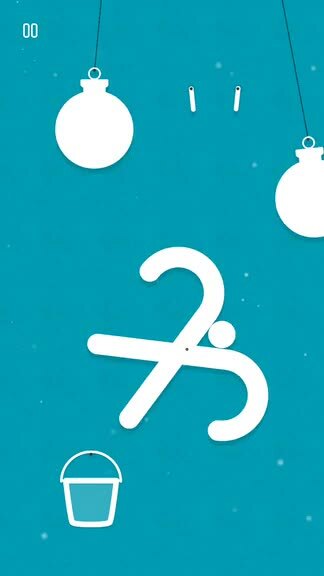 Like other games of this nature, Drop Flip Seasons is level-based, but again, the twist is that only one chapter is available right now, which is Winter. If you browse the level selection screen, you’ll find Spring, Summer, and Autumn chapters, but they are locked and cannot be accessed until that particular season rolls around later in the year. I find this element interesting, because it keeps the promise of more content in the future, and the game remains fresh throughout the year as more stages are added on a regular basis. The only problem would be if you complete all of the current levels quickly and then you’re left with nothing else to do until March, June, and September, respectively. However, each season contains 40 levels with another eight bonus levels (these are coming soon for Winter), and the difficulty for the puzzles ranges from super easy to near-impossible, so it should definitely keep players busy for some time. Plus, the game is completely linear, so if you’re stuck, you’re going to be stuck until you finally figure it out on your own, as the game has no hints, but you can skip levels if you need to. The goal of Drop Flip Seasons is easy enough: drop the ball into the bucket, but things can get super tricky. Controls in the game follow in the footsteps of the original. The ball will always sit atop a gate in the beginning of the stage. To drop the ball, just tap on the gate that is holding it, and the ball will fall. 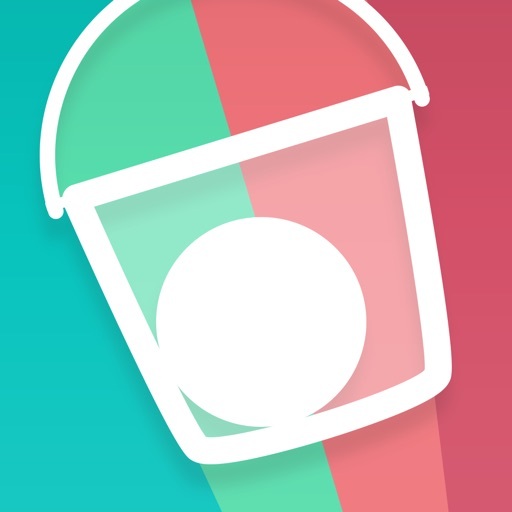 But since the goal is to get the ball into the bucket, you’ll have to make note of the level’s obstacles and other environmental objects in order to guide the ball to its destination. Some objects can be moved, and this is indicated by the dark shadow areas. If an object is in a shadow, then you can drag it with your finger to move it around, or press firmly on it to rotate if there is space. On some levels, the bucket will be moving as soon as you start, so these require you to be fast and open the gate at the right time. For these, you’ll probably have to restart multiple times until you get it. 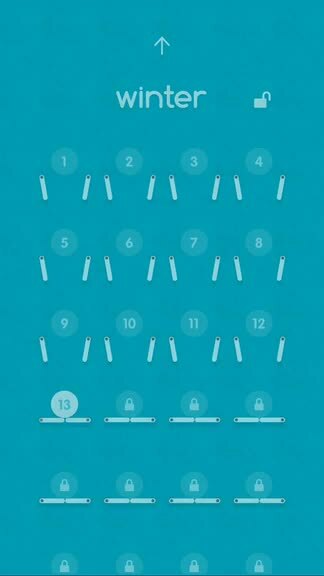 To do this, just tap on the pause button in the top left corner and then choose to reset or restart the stage, or even go back to the level selection screen. The combination of obstacles and movement can make Drop Flip Seasons much more complex than you’d originally think, so this is a game that will keep you occupied for a while as you attempt to get a “ball-in-one” or ball-in-two” at the most. Drop Flip Seasons may have only came out last night, but so far I’m enjoying it a lot, just like the original game. I love the minimal design, but it still manages to stand apart from the original with the seasonal themes and subtle background animations. 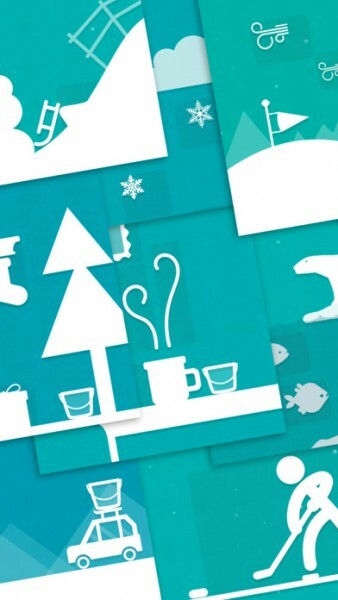 With winter being my favorite season, I love all of the appropriately themed decorations, such as snowflakes, polar bears, and hot cups of cocoa (or maybe that should be coffee). The controls are straightforward and intuitive, and the puzzles themselves range from simple to difficult, but it can all be done through trial-and-error, so there’s no need for hints, which is nice. Since it’s a free download, there will be occasional ads that pop up every now and then. I eagerly await the levels that are planned for the rest of the year. 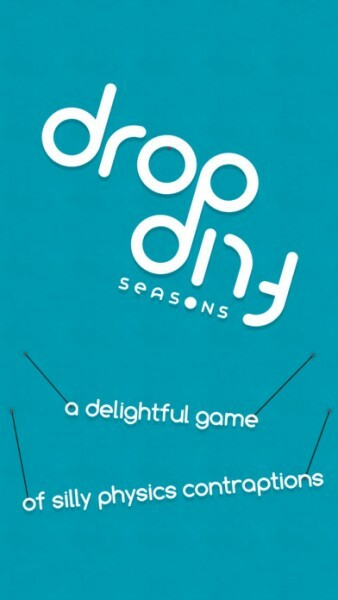 I highly recommend giving Drop Flip Seasons a try if you’re a fan of physics-based puzzle games or just want more Drop Flip in your life. 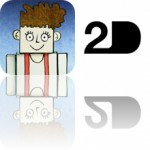 You can find Drop Flip Seasons on the App Store as a universal download for your iPhone and iPad for free with in-app purchases.